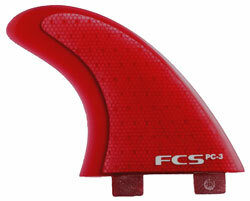 The M Series shortboard fins by FCS are designed to be fast and smooth with better hold and more squirt through turns. The new inside foil technology offers superior drive and the flexible tip provides forgiveness and control at high speeds.The Glass Flex material combines the flex pattern of a hand-foiled fiberglass finwith the ability to mold highly technical, computer generated foils accurately. Comes with three fins and a fin key. 4.28 base and 4.41 depth.. 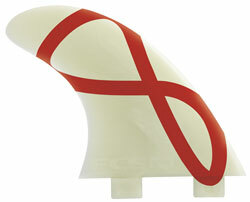 The M Series shortboard fins by FCS are designed to be fast and smooth with better hold and more squirt through turns. The new inside foil technology offers superior drive and the flexible tip provides forgiveness and control at high speeds.The Glass Flex material combines the flex pattern of a hand-foiled fiberglass finwith the ability to mold highly technical, computer generated foils accurately. Comes with three fins and a fin key. 4.37 base and 4.55 depth. 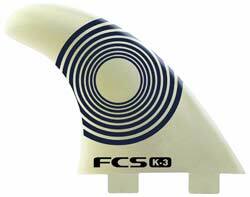 The M Series shortboard fins by FCS are designed to be fast and smooth with better hold and more squirt through turns. The new inside foil technology offers superior drive and the flexible tip provides forgiveness and control at high speeds.The Glass Flex material combines the flex pattern of a hand-foiled fiberglass finwith the ability to mold highly technical, computer generated foils accurately. Comes with three fins and a fin key. 4.52 base and 4.67 depth. FCS presents Kelly Slaters world beating fin template made with Glass Flex. Slater designed the K2.1 to be more maneuverable and faster off the top than the older KFin model. The side and center fins have different foils and flex patterns. The larger, more upright side fins have greater flex for tighter turns. The smaller, stiffer center fin adds control. Comes with three fins and a fin key. 4 5/16 base and 4 1/2 depth. 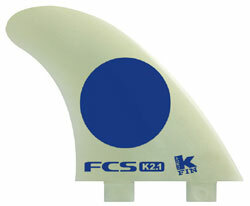 Another FCS surfboard fin template ridden and tested by Kelly Slater. These fins are perfect for down the line walls and long turns. Designed with Ricon in mind, theyve been Kellys magic set for years. So grab the K3 to help get down the line and the K2.1 if youll be surfing beach breaks and barrels. With the two fin sets, you should be set for almost any wave. Comes with three fins and a fin key.4 .45 base and 4.61 depth. 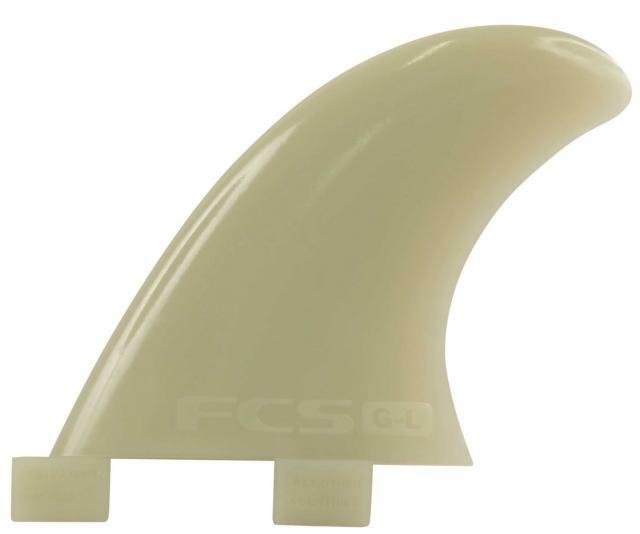 A traditional longboard side bite fin template from FCS. Made in Glass Flex. Comes with two fins and a fin key.88mm base and 92mm depth. 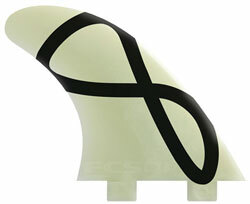 Similar to the TFX, this is the Mark Richards twin fin template in Glass Flex. Its foil is perfectly shaped for maximum performance in twin, super twin or fish options. Want to change up your surfing? Install this twin fin in your thruster and feel the difference. 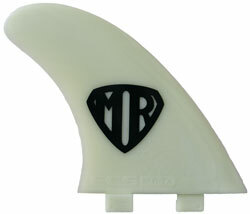 It comes with three surfboard fins - two large side fins and one small center fin for optional use in a tri fin setup. Side fins: 5 1/16 base and 5 9/16 depth. Performance Core fins by FCS are made using Resin Transfer molding to be stiffer with the added performance of reduced weight. The stiffer flex pattern allows you to push extremely hard through turns while the Inside Foil Technology provides increased drive. 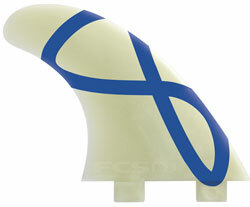 The fin is perfect for powerful surfers or anyone wanting to push each turn to the limit. Comes with three fins and a fin key. 4.28 base and 4.41 depth.